The summer may be turning its hottest corner, but that does not mean there’s no cooling down of content. In this batch “As Published Elsewhere” Quickies reviews, the selection of vehicles turn towards the headlines. Vehicles that are found elsewhere with my byline, reviewed fully on those pages. They do find their way here because you want to know more about them. 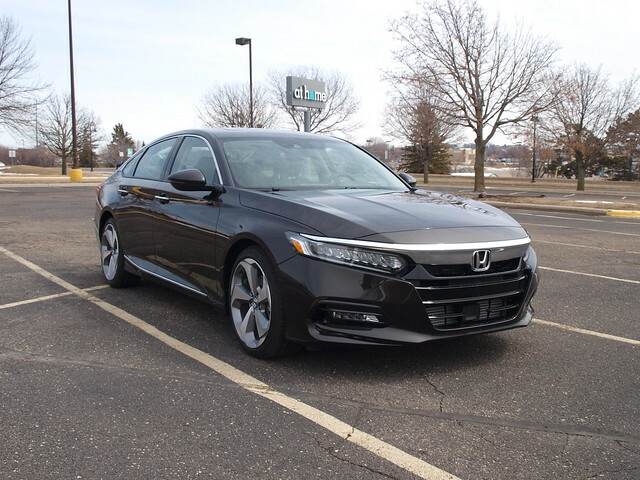 2018 HONDA ACCORD: I will state that this latest iteration of this popular Honda sedan earned its North American International Car of The Year award with a superb machine. But, there’s more to this summation. For example, Honda made huge strides to its interior by modernizing everything – from seating to the instrumentation to space inside. There is now only one screen for the infotainment system – which is easily accessible from the driver’s seat. There was no real penalty for rear headroom due to the fastback body design. Honda also went to an all-turbocharged engine lineup for their non-hybrid models. My Touring tester had the larger of the two turbo engines – a 2.0-liter unit that replaces the V6 of previous generations. The performance was very good, thank to having more torque to play with. Overall driving dynamics were very good, as it serves up a good ride/handling mix, along with superb brakes, and solid steering. However, the story that happened while I had the car was the problem with selling it. How can you not buy such a future-thinking car? That is a question that needs to be addressed – by you. Think about that next time you shop for any of the Accord’s competitors. 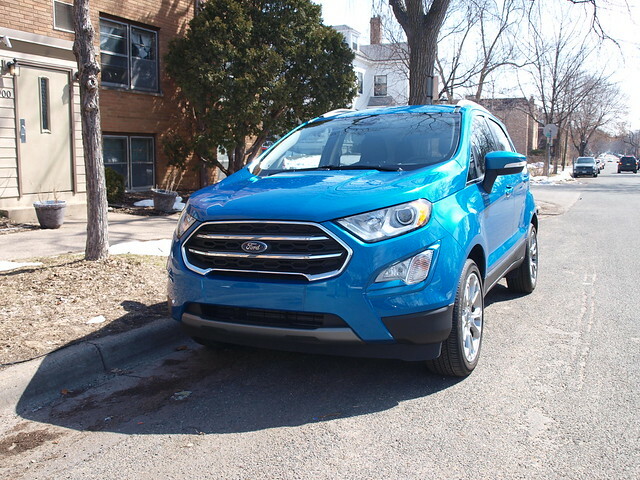 2018 FORD ECOSPORT: Ford felt it needed to bring its global subcompact SUV here because of the potential growth in the segment. The question is whether this small SUV is suitable for American tastes. Maybe, perhaps. It fits well in urban enclaves where parking is at a premium. It’s short (161 inches long) body works well for on-street parking in densely populated areas. You can fit a starter family of four – children will fit better in the back seat than above-average-sized adults. The instrument panel is purely Ford on a basic level, with the added bonus of a large tablet-like screen for the Sync 3 infotainment system. If one thing that could be a deal breaker, it would be the side-hinged tailgate. For American tastes, at least it opens out away from the curb. 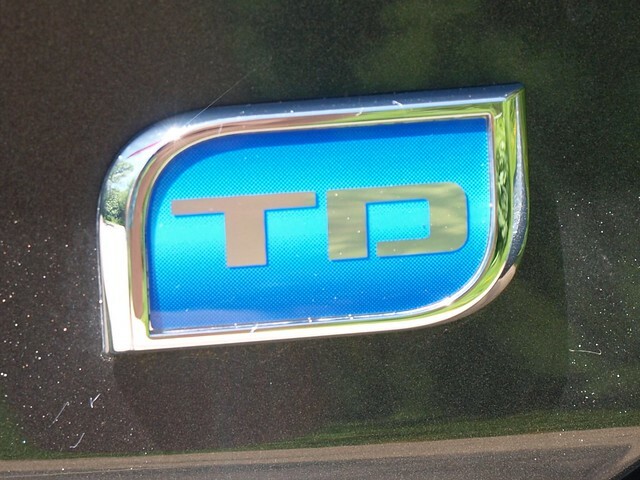 My tester had the 1.0-liter EcoBoost turbocharged three-cylinder engine, connected to a six-speed automatic driving the front wheels. Since V&R is based in Minnesota, this might not be the right choice for those who need better traction. If you have to have all-wheel drive, you need to get the 2.0-liter four-cylinder engine – which offers more power and torque over the smaller EcoBoost. The driveline was punchy and wanted to do more, but that was it. Everything was OK…just OK.
2018 CHEVROLET CRUZE: Could this be the best Chevrolet ever? This is a ridiculous thing to say, especially when they have been making Corvettes for 65 years and Camaros for 50. However, the latest Chevrolet Cruze truly hit the mark. However, this needs qualifying. For one, the example I got was the hatchback, which really is the better body style between it and the more ubiquitous sedan. Also, it has the 1.6-liter turbodiesel underneath its hood. This solidifies the claim made above. The diesel engine has 240 pound-feet of torque, which makes this compact hatch a lot more fun to drive. It has plenty of low-end power to handle highway situations – such as proper merges and land changes. Th suspension set-up is better than you think. It can corner very well – and near flat – as well as handle the roads superbly. 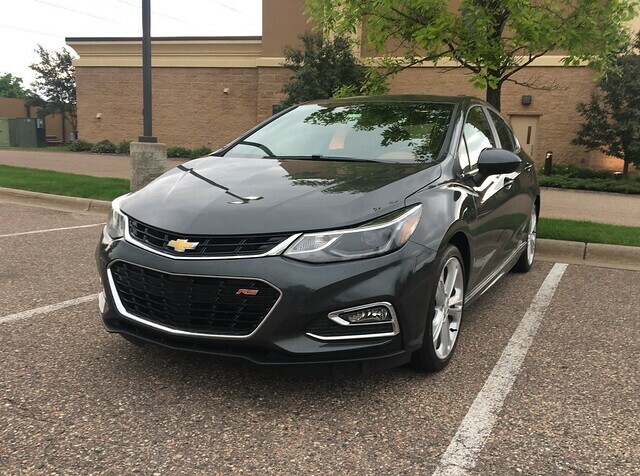 The rest of the Cruze is a solid offering, which an upgraded interior, the Rallye Sport appearance package, and the practicality of the hatchback. Yet, it sits in the shadow of the Corvette, Camaro, Colorado ZR2, and Silverado 1500. It needs to shine brighter than it should. They also need to make more hatches for our consumption. This is a bombshell – an affordable Chevrolet that is really good. 2019 MINI CONVERTIBLE: BMW’s British fun car brand has always had a reputation for making cars that tried to honor its glorious past. Instead, they would improve the breed by imposing their own engineering onto it. Yet, they always succeeded – quality issues aside from their previous generations. But, the MINI has always marched to its own drummer. The cabin alone is worth checking out, with the center dial becoming a touchscreen for the MINI Connected infotainment system. You sit lower, but the car is lower for better handling and cornering. This is the formula for today’s lineup of MINIs. With that said, the Convertible I tested represents the most fun you can have in a MINI this side of a John Cooper Works model. The tester was a Cooper S, which had the 189-horsepower 2.0-liter turbocharged engine. It was also the Iconic trim, which meant it had practically everything available on the order sheet. The color was Electric Blue with white leather seats. That meant it had an upscale air to tool around in. Sure, you lose some rearward vision in the Convertible. You lose cargo space, too. But, what you lose in practicality you gain in absolute hedonistic fun. That is all you need in a convertible – the roof down and a world without care. Oh, and by the way, the roof works in three ways – up, down, and a partial opening as a sunroof. 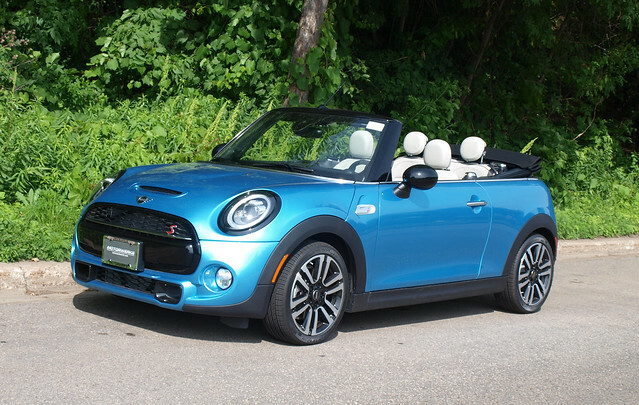 Either way, expect to have a massive amount of fun in a MINI Convertible. DISCLAIMER: Vehicles featured in this article were provided by their respective manufacturers – except for the MINI, which was provided by Motorwerks MINi, Golden Valley, MN.